This pilot project developed out of work led by Rico on the archaeology and heritage of the Huemul Atomic Project in Argentina, coupled with observations of the ways in which the designation of certain forms of conservation landscape (for example national parks and other forms of protected areas) might be seen to facilitate specific forms of environmentally damaging “non-conservation” activities outside of their borders. 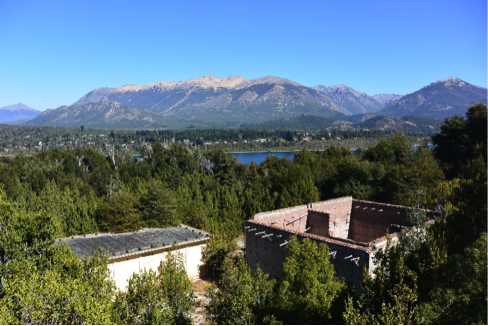 We explore these issues through a focus on the archaeological and heritage landscapes associated with the failed quest for nuclear fusion on Isla Huemul within Nahuel Huapi National Park near Bariloche in Argentina, and the ways in which this experiment facilitated the subsequent establishment of a working nuclear reactor and atomic research institute in the same town and park, and other attempts to develop alternative energy sources in the form of hydroelectric power schemes, alongside their broader effects on the landscape. This pilot study has resulted in establishment of a transnational, interdisciplinary working group which is developing a broader project on the relationship between conservation landscapes, statecraft, practices of power and relationships between “waste” and “wilderness” across Chile and Argentina in the Northern Patagonian region. This network will enable us to consider how these historical and contemporary tensions might be considered collectively in the development of new policies and practices in clean energy production and landscape conservation in the region. An exhibition “Los ecos del Proyecto Huemul, 1949-2017”, hosted at the Balseiro Institute in Bariloche, presents the results of our research. Further details of the project are available here.